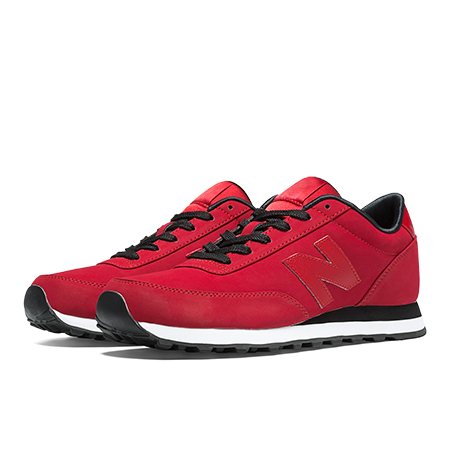 These are some red shoes in Today's Daily Deal! Save 50% on the Men's Lifestyle 501 Now Only $34.99 + $1 Shipping (discount applies automatically at checkout) at JoesNewBalanceOutlet.com! Offer valid Tuesday, 5/3. A little darker and a little more mysterious than the classic 501, the New Balance High Roller men's sneaker features a velvety matte finish, tone-on-tone color scheme and luxe satin lining. It's an elevated take on street style that lends itself to day or evening wear. Snag your pair and join the elite High Roller society.